Kendrick Lamar just ignite social media with the released of his new music video “DNA” starring Don Cheadle. 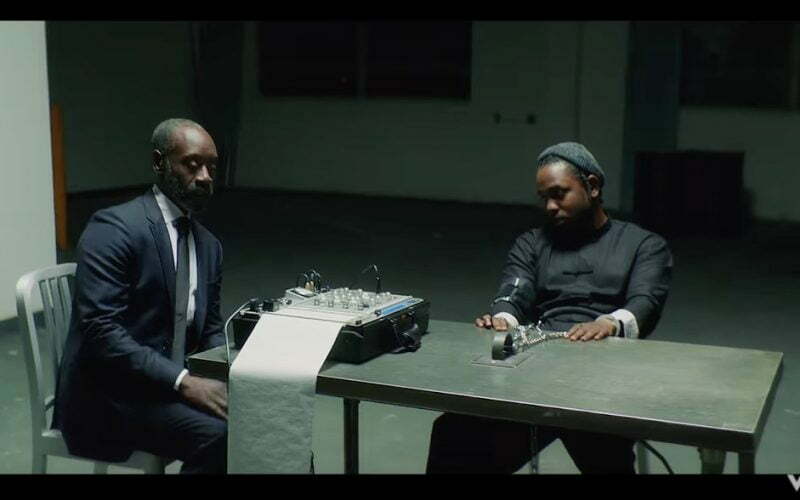 The short-film like video runs for 4 minutes and 45 seconds and features the actor walking into an interrogation room with Kendrick Lamar chained to a desk. The video was directed by Nabil & the little homies. The cut also saw a cameo from ScHoolboy Q who is a member of TDE. After DOn Cheadle started administering a lie detector test, something took him over and he started rapping like he was Kendrick Lamar. K-Dot then take it to the streets to roll some dice with his boys. “DNA is featured on Kendrick Lamar’s new album DAMN, released last week Friday. 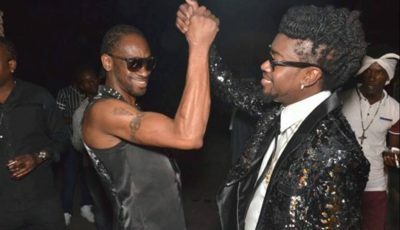 The project also featured the single “HUMBLE,” as well as guest features from Rihanna and U2. The entire video is already a huge hit, watch it below.